As I briefly described in my tale of a 7 year journey in developing software for the enterprise, at Mendix every month we give employees the chance to work on anything they like and deliver it in 24 hours. We call these 24 hour hackathons “FedEx days”: build it and ship it in one day. We normally start on Thursdays at 4pm with a kickoff during which people will team up. Dinner is arranged for everyone who wants to stay during the evening. Friday 4pm it’s time for beer and to demo the result to each other. I really love these days. If you walk around in the office during a FedEx day you feel the vibe and during the demo’s I’m always amazed by the things that have been built. It’s energizing to see what talented people can do in just 24 hours, not just the size of a feature, but also the creativity behind it. Let me give you 10 reasons why you should organize these FedEx days yourself (or to convince your boss to do so). As said, you will be amazed by the features that a focused team can build in just 24 hours. Some of these features will be such a good fit to your product that you want to release them immediately. In the Mendix App Platform there a quite some features that have their roots in a FedEx day. Little things make big things happen. Although we all know that, it is far too easy to be too absorbed with all the big things on our product roadmaps. Maybe some small or radical feature ideas never get priority. A FedEx day with a mandatory demo at the end can help shift that focus for a moment and lead to small features that really brighten the lives of your users. 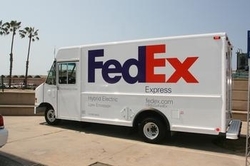 There is no way to hide during a FedEx day, everybody needs to come up with something that can be built in 24 hours. It doesn’t matter what it is, but the demo at the end of the 24 hours is mandatory. You don’t want to be the colleague that has to say you couldn’t come up with something, right? However, in my experience most people don’t have to think that long. Once the initial barrier is taken there are always way more ideas than people to implement them. We hired so many smart people, it would be unwise to not use all that brainpower. Innovation should come from everywhere in our company. By giving people the time to prove the viability of their ideas as well as by giving them the stage to pitch them we deliberately focus on innovation. We don’t settle into business as usual. Every developer has something that bugs them about the products their own company releases. It is really motivating to be able to fix that yourself, even if it is in an area of the product you don’t work on normally. As we also use FedEx days to work with new languages, frameworks or other tech it is also a way to get better at stuff. Both autonomy and mastery are important elements of motivating high-skilled professionals. We don’t always do it, but sometimes we add a competitive element. For example, during the company kick-off at the beginning of this year we evaluated the results of the FedEx with a small jury and the top 3 teams presented their idea tho the whole company where the applause-o-meter selected the ultimate winner. It is interesting to see how such a competitive element changes the whole dynamic and creates some additional passion in the teams. Developers can team up with anybody to implement the feature idea they have. In our case this mostly leads to people teaming up with someone they don’t normally work with. We have multiple scrum teams and people usually try to team up with someone from another team. This really helps to keep the “1 team” feeling despite our stellar growth. It also helps to share practices among teams. During most FedEx days developers end-up doing pair-programming with someone from another team. This means they learn from each other and share the engineering practices they use. Not just the high-level parts, but especially the details, like organizing code, the way to approach a problem, etc. During FedEx days developers do not only share practices among teams, they also have the opportunity to learn something new. Is that new bleeding-edge framework really something we should invest in? Let’s use it in a prototype app or feature. You always wanted to learn language X? Team up with someone who uses that language and build a feature together. Or, if we don’t use the language at all, try it and possibly argue why we should start using it. That’s how we ended up using Scala and OSGi for example. 10. FedEx days are great fun! If it wasn’t clear yet: it’s great fun to be part of a FedEx day! We have dinner together after the kick-off and beer during the demo’s at the end. The vibe on these days is awesome and people feel energized afterwards. And if you’re not into all this fluffy stuff you will at least love the tech deep-dive you are able to do. So, what are you waiting for? Go organize your first FedEx day and share your experiences in the comments! Nice way to improve creativity within your team. Which departments are participating @ Mendix? Normally the product development department (R&D) is participating. However, the first FedEx day of this year we also involved our services department (the consultants that use our product) and created mixed teams. This was a very interesting experiment and it created a different dynamic. It was also challenging for some teams to divide the work as not all consultant could code. In some teams this lead to people doing “nothing”, in other teams they created tests, example applications around the feature, or prepared the demo / presentation. Very nice. We’re so impressed that we decide to organize the same type of event within our own organization. Thanks for sharing this and for the inspiration! Last Thursday we launched our own event ‘SpeedDay’ @ 16.00 and ended Friday @ 16.00. The teams delivered really nice widgets/apps. Seems like this event will recur in the future @ CAPE.